Harold Kisner is a nationally recognized authority in laboratory instrumentation, reagent selection, workflow design, process optimization, and automation. In 2006 Dr. Kisner founded ConVerge Diagnostic Services, LLC., an anatomic pathology laboratory which he sold to to Water St. Health Partners who then retained him as a consultant until 2011. 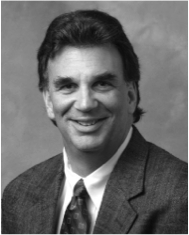 From 1987-2003, Dr. Kisner was Chief Operating Officer of Path Lab Inc., a regional full service laboratory serving seven hospitals and physician office laboratories throughout New England. In 2003, Dr. Kisner founded NorthEast Clinical & Anatomic Pathology Solutions which provided technical, operational, and financial expertise to clinical and anatomic pathology laboratories. Dr. Kisner was an editor of Diagnostics Report, has authored numerous publications, speaks frequently at national conferences, and is an adviser to the board of the Clinical Laboratory Management Review for which he authors the column, “Talking About Technology”. Dr. Kisner received his Ph.D. in Clinical Chemistry from the University of Rhode Island, and his MBA from an executive program at Loyola College in Maryland.